​Within Bayern Munich's recent 6-0 victory within the DFB-Pokal quarter-final, the star man Thomas Müller picked up a thigh injury which leaves the forward in doubt as to whether he will feature in the next fixture, as reported in Bundesliga. 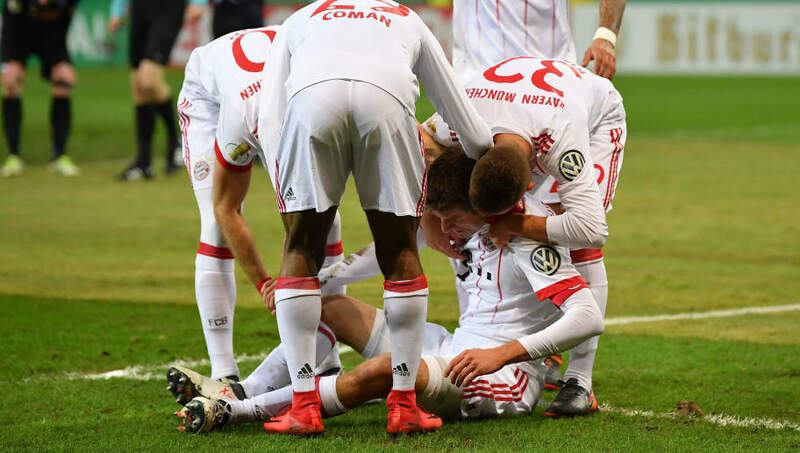 During the game against Paderborn, ​Müller collided with goalkeeper, Michael Ratajczak, in the build up to the first goal of six, injuring his thigh in the process. The German international played a pass at the last possible moment into the path of Kingsley Coman, who opened the scoring for Bayern. However, instead of celebrating the goal, the Frenchmen went to check on his German team-mate. The former World Cup winner sustained the injury in the 19th minute, however, he decided to carry on but was later replaced by Corentin Tolisso later on in the half. Regarding the injury, ​Bayern Munich manager Jupp Heynckes had this to say: "Thomas Müller has a bruised thigh so we'll have to see how the injury develops over the next few days. He could have carried on, but was restricted and unable to give his maximum.". Therefore, due to this injury it is currently unclear whether Müller will feature in their next fixture against Schalke. The German international will certainly be missed by the league leaders, as the forward has been involved in a goal every 107 minutes on average - proving his integral role in the side. Despite this, Müller will be hoping to re-join the Bavarians as soon as possible, in order to help guarantee them another Bundesliga title and to showcase his abilities in the run up to this years World Cup. Fantasy Premier League: There's so many great team names out there, but which one of these is this season's best?